The Hume Center provides professional training workshops! All course are Six Continuing Education Units for Psychologists (MCEP Approval Pending). 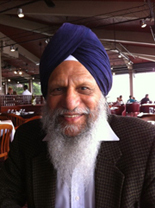 R.K. Janmeja (Meji) Singh, Ph.D. is the main course facilitator. Meji was the Founding President of the Hume Center and is currently the Chief Psychologist. Meji was the Assistant Director of the Post Graduate and Interdisciplinary Training Center in Community Psychiatry in Berkeley, the Dean of Rose-bridge Graduate School of Integrative Psychology, faculty at U.C. Berke-ley Doctoral School Psychology Program, California School of Profes-sional Psychology and U.C. Medical Center in San Francisco. He has served in Community Mental Health Programs for almost a quarter of a century. The following information applies to all of our Continuing Education workshops. Email: To email Dr. Molony, please see the Directory in the Contact Us page of this website. Participants will learn a conceptual framework and develop skills through working on a supervi-sory presentation. Psychotherapy is not an intellectual process. The psychotherapist must under-stand the interactional dynamics between the client and the therapist. No matter what the therapist’s orientation is and what kind of active interventions one wants to implement, if one does not grasp the interactional dynamics, the effectiveness is left to chance. The goal of Community Mental Health Practice is to solve problems where they occur and in collaboration with the persons/organizations that have a stake in the outcome. Mental Health Consultation is the most effective way to help professionals in non-mental health academic and human service organizations to achieve their work objectives. The workshop participants explored how and what kind of record system is necessary in order to develop an Internal Support System within the consultant organization. Caplan’s writings are very clear in describing the theory and practice of Community Mental Health Consultation. These workshops compliment his work by providing practical skills in the implementation and development of such services. In our experience, the success of a mental health consultation program is largely dependent on the back-up Peer Consultation and Individual Supervisory support systems available to the consultants in their own organization. The workshop participants will learn the theory and practice of developing consultation relationships with other human service providers and academic institutions in the community. Public Health Concepts were discussed with actual examples from community mental health work to illustrate how Public Health Approach can be used to prevent mental disorders and promote mental health.